California Prog Band Scarlet Hollow are thrilled to announce that they have welcomed Percussionist & Drummer Jay Setar to the family, Jay has been writing and recording with the band for their upcoming CD slated for a spring release. You will be able to hear his drum work soon… as the band plans to release their first single next week. The track is called “I Am Divided” and is the first new studio release since the bands highly acclaimed full length debut “What if Never Was” released in late 2012. Jay is currently in a handful of original projects and does freelance live and recording work in the Los Angeles area, he was born and raised in the suburbs of Los Angeles, and brought up in a musical family that had one life changing family rule; “you will choose and study a musical instrument”. 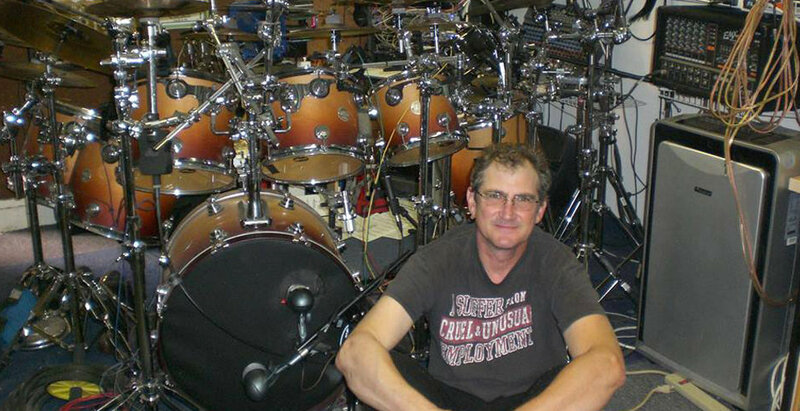 Jay started playing at age 10 and studied drums from some very well respected instructors in Los Angeles. (Chuck Flores, Freddy Gruber, Murray Spivak, Jules Greenberg) and with his father deep in the LA studio scene, Jay had the opportunity to meet, hang-out with, and closely watch (sometimes from on stage or in the drum booth at a session) many legendary drummers. Jays very early influences were mostly drummers in the swing genre; Louie Bellson, Shelly Manne, and of course Buddy Rich. As Jays ears matured in middle school and high school, he started to fall in love with more jazz, fusion, funk, rock…. Whatever he could get his ears on. Weather Report, Return to Forever, Billy Cobham, Tower of Power, Jimi Hendrix, Chicago, Yes, Jean Luc Ponty, Mahavishnu, Jethro Tull, Rush, and the late great Frank Zappa. Current influences are a smattering of many genres from prog to jazz to pop. Dream Theater, Snarky Puppy, Spock’s Beard, Robben Ford, Big Phat Band, Hiromi Uhara, Sara Barielles, Sting…. Too many more to list.